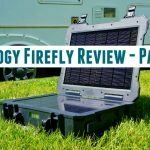 So far in my extensive review of new Firefly portable power box from Renogy I first (Part One) gave you my initial impressions of the build quality and functionality. Then (Part Two) let you have a look with me inside to examine the guts of the beast, offering my opinion as an experienced electronics repair tech. 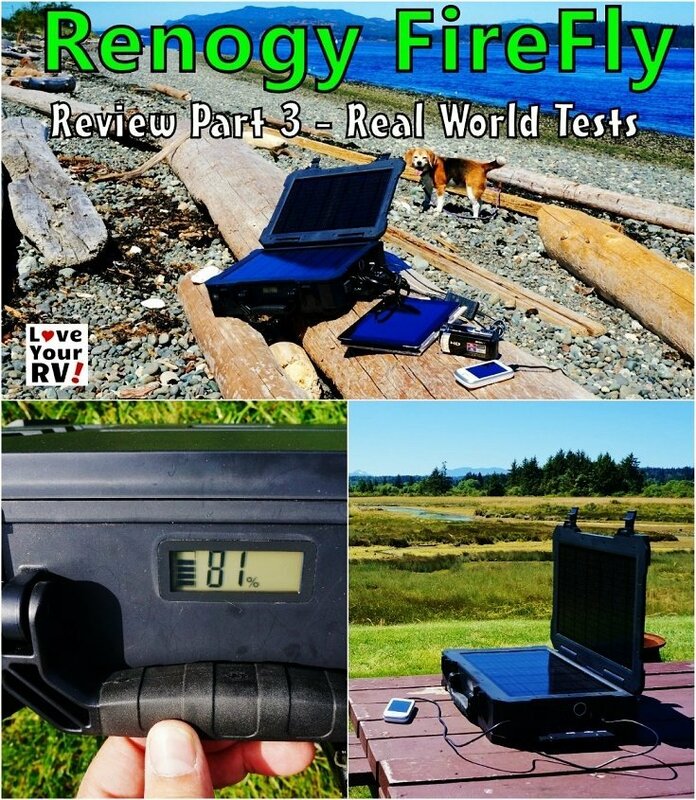 Now in Part Three of my review I put the Renogy Firefly through a series of real-world tests. You can find official specs for the unit in a downloadable PDF user manual on the Renogy website. The tests I did are very informal, but hopefully they will give you somewhat of an idea of how the little power box performs. 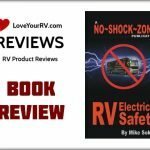 How long will the fully charged Firefly power my 17” Toshiba Satellite laptop? 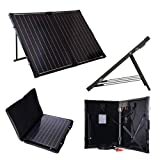 The first test I did was to take the fully charged Firefly let it power my laptop using it’s built in inverter without solar until fully depleted. Turns out it was able to run my rated 45-watt laptop for almost 10 hours. It would likely last even longer if I had not disabled all power saving options on the laptop. How long does it take to fully charge the Firefly plugged into AC power? I measured the time it took to bring the Renogy Firefly from a 0% charge state all the way to 100% on the digital readout using a household AC outlet (no solar). I was pretty impressed with a time of 2 hours and 35 minutes. How long will the Firefly power my Samsung 32” LCD TV? 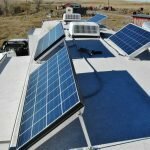 I took the 100% charged Firefly and let it run my 110 watt TV without solar until it was fully depleted. The total TV run time turned out to be roughly 2 ½ hours. 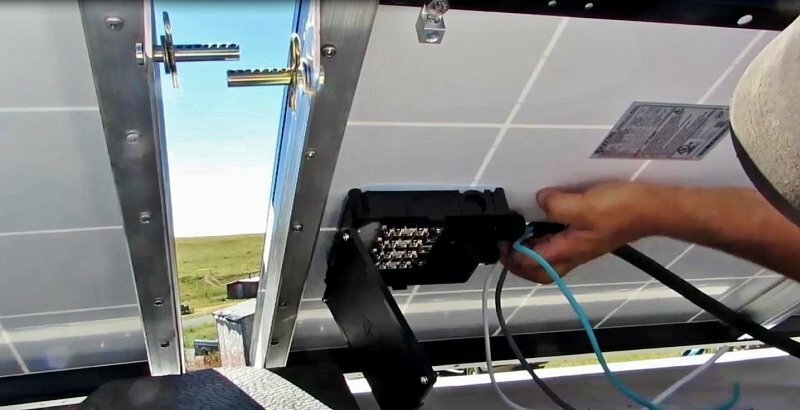 How long does it take to charge the Renogy Firefly with the built-in solar panels? 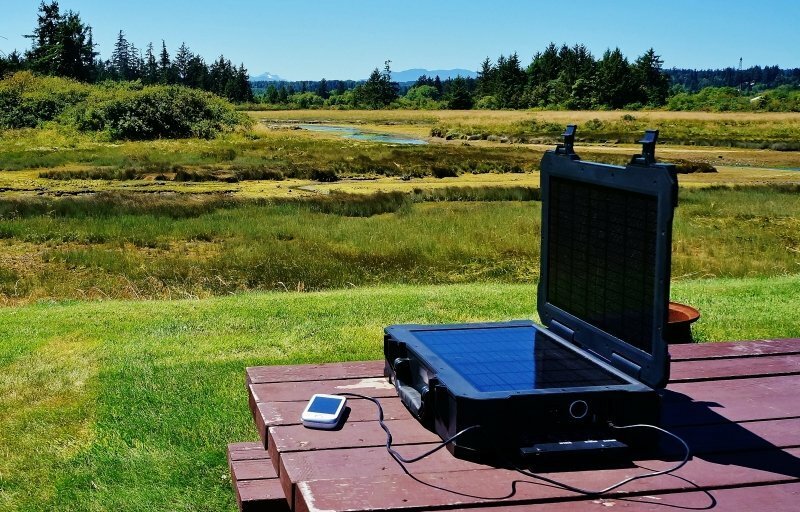 In my clear blue sky, mid-July test it took 3 hours to bring the Renogy power box up to a 46% state of charge, so I would imagine a full charge could be attained in 6-7 hours. 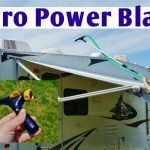 Will the Firefly power my 12-volt air compressor? Yes. It had no problem powering my compressor using the auto cigarette lighter style 12-volt outlet. 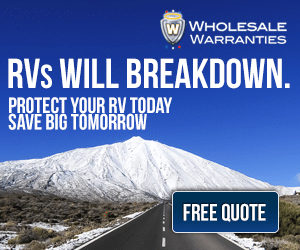 What happens when you overload the Firefly’s inverter? I tried to power my 600-watt shop vacuum to see what happens when the Firefly’s 150-watt inverter is overloaded. 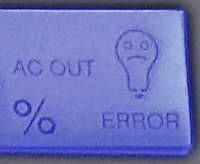 After a brief buzzing sound in the Shop-Vac the AC power output quit and a small sad faced light bulb appeared. Very cute! Then, a simple reboot of the power switch reset things back to operational. 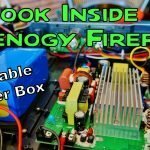 See the Firefly charging two computer tablets through the USB outlets and my cordless drill battery charger using the AC inverter output. I also tried the three items with the box laid out in the sun, but the drill battery charger was too much of a current drain and quickly dropped the Firefly’s state of charge. Charging just the two tablets was no problem, though. 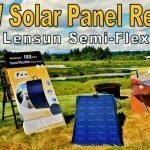 With the 20 watts of built-in solar the Renogy Firefly was quite capable of charging up my wife’s Canon DSLR battery and my Sony NEX-5 camera at the same time. There even was enough juice left over to charge its own internal battery. 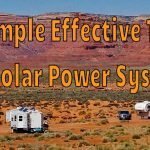 How big is the Firefly portable power box? 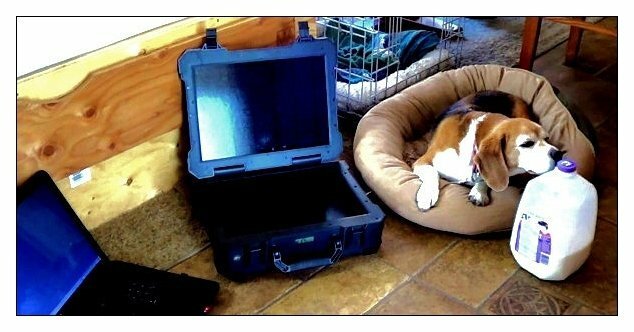 In the video, I compare the Firefly to a 17” laptop, a 13” beagle and a gallon of milk. See how it compares.